Dazzle your employees or clients with a memorable treat!!! 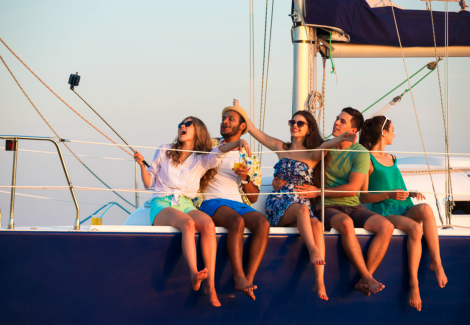 Cruise on a yacht in the Marina del Rey harbor with food and an open bar! You bring your team/clients and we provide everything else. Celebrate the holidays and ring in the New Year with an unforgettable event while cruising in the Marina del Rey harbor. Climb aboard the first place winner of the charter boat category in the 2018 Marina del Rey Holiday Boat Parade. Take your corporate holiday party to a whole new level of entertainment with cocktails, delicious food, fresh ocean breeze, and award-winning decorations! 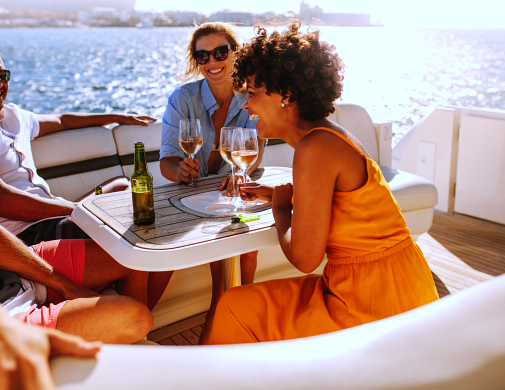 Your guests will relish all of the sights and sounds of the holidays aboard one of our exotic yachts. We’re happy to accommodate parties ranging from 25 to 62 guests. 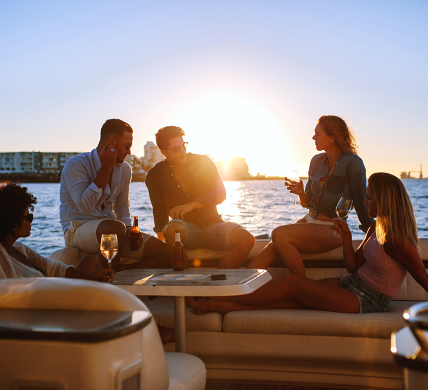 Start an amazing new tradition or continue an existing one celebrating the holidays aboard one of our exotic yachts cruising the fabulous Marina del Rey harbor. Enjoy amazing views of the Santa Monica Bay, the Los Angeles coastline, and all of the vessels and homes decked out for the holidays.